Boaz sends a prayer and yearning for peace in the Holy Land during this terrible time of strife, yelling, fighting, demonstrations, and yes, now even war. Mourn with us; seek the favor of the Lord with us; unite with Israel and entreat HaShem to restore peace to the City of Peace. Then the whole world will see "Shalom from Jerusalem." 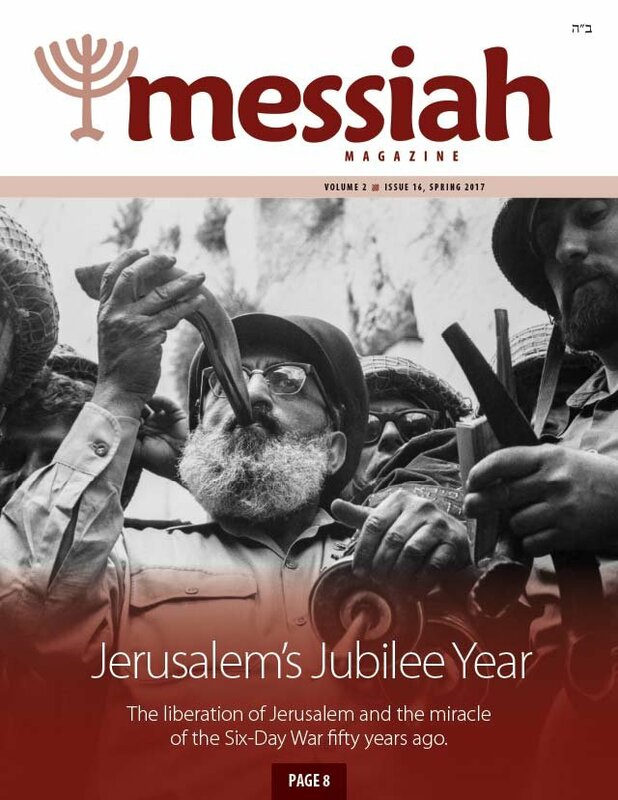 What is the redemption that Messiah brings? What are we redeemed from? Messiah came to redeem Israel, the Jewish people, from exile. Redemption in Hebrew is buying back, reacquiring, and setting things right again. Jesus is the prophet like Moses in that Moses was the first redeemer and Yeshua is the ultimate redeemer. While teaching in the Temple courts, our Master Yeshua uttered a prophecy of doom over his generation. The Word of the LORD spoke through him, declaring punishment upon the generation for "the guilt of all the righteous blood ... from the blood of righteous Abel to the blood of Zechariah" (Matthew 23:35). Remembering Jerusalem: The goal of fasting on days of mourning is to focus our energies on prayer. As we deny ourselves certain pleasures, our spiritual yearning for our Creator is increased. How to mourn, and remember the desctruction of Jerusalem on the 9th of Av. Some created thoughts shared by Te'ena Benhaim. A narrative reading for the Ninth of Av: The gripping account of the destruction of Jerusalem, written by D. Thomas Lancaster. Difficult Sayings of Yeshua: "Why Have You Forsaken Me?" In the moments before Yeshua's agonizing death, he gasped and cried out, "My God, my God, why have you forsaken me?" Was Yeshua really forsaken by God? It seems as though Yeshua would have been expecting a rescue that never came. Beauty and promises in the Negev. In this "Land of Israel" section, Shayna Michael writes about how the Negev desert holds thousands of secrets from Israel's past. Part 1 - A Land of Contrasts and Spirit. Read the first chapter in Pauline Rose's eyewitness account of events in Jerusalem during 1948. Pauline's first-hand accounts, her eyewitness testimony, diary notes, and letters of correspondence written in Jerusalem between 1946 and 1949 have been published in her book Siege of Jerusalem, which we now proudly present here. Much has been written concerning all the calamities that have befallen the Jewish people on this day in history, the Ninth of Av, on which our Temple was destroyed-not only once but twice! The ancient Jewish sages teach that all these perils were a result of one sin: that of baseless hatred between brothers. A short review of the new book, Elementary Principles: Six Foundational Principles of Ancient Jewish Christianity. In this section of New Testament Backgrounds, Jacob Fronczak shares, from personal experience, how he learned to follow in the Master's footsteps, even though his life-circumstances are totally different than Yeshua's were. Learn about the Jewish concept of halachah, the Jewish way of defining a godly life. Answering your everyday Messianic questions. 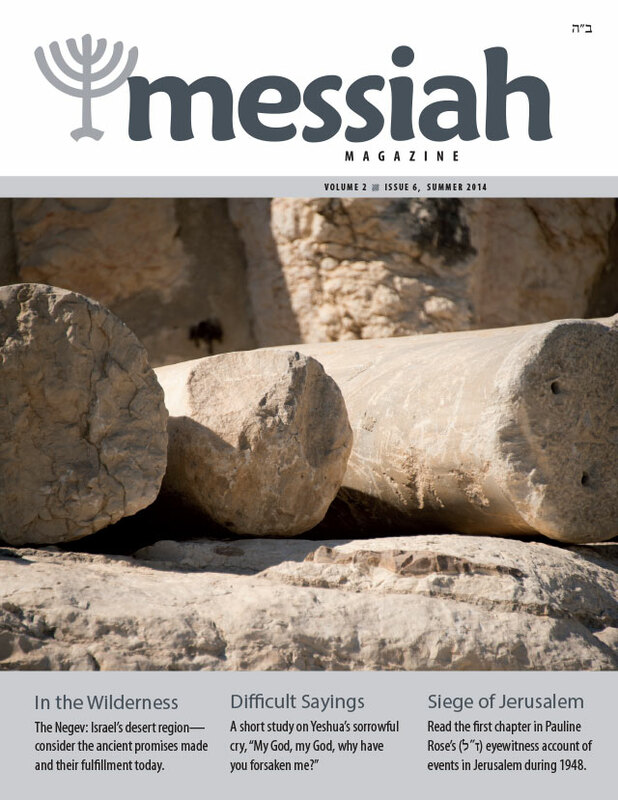 In this issue we answer a question about the placing little stone on Jewish gravesites. What is this custom about?